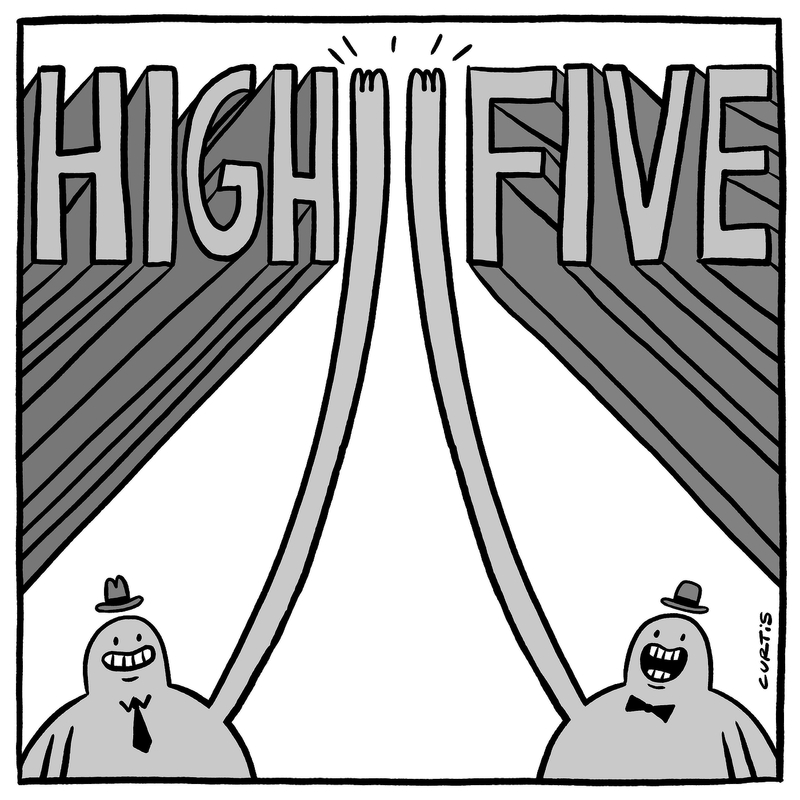 It's Friday, make sure to celebrate by giving everyone you see today a high five. Please ignore the fact that I only drew their hands with three fingers each, which would technically make a high five impossible. At least I got the "high" part right.